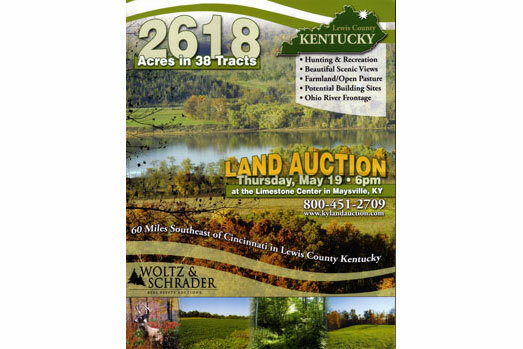 Real Estate Land Auction: 2500± Acres, Agricultural and Timberland along the Ohio River – Woltz & Associates, Inc. 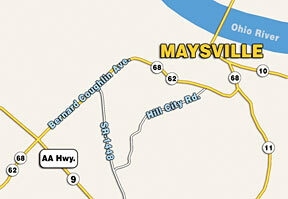 Directions: From Maysville Kentucky go east on AA Highway (Hwy. 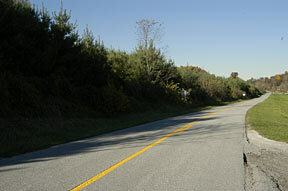 9) approximately 11 miles to State Road 57, turn north (left) on State Road 57 go 8.2 miles to tract #1. Tract #2 also located on State Road 57. Tracts 3, 4, 9-14, 17, 19, 35 & 36: From tract #1 continue north on State Road 57 for an additional .9-mile to Crooked Creek Road. Turn left on Crook Creek Road and watch for various tracts with frontage on Crooked Creek Road. Tracts 5-9: Go .4 mile from intersection of State Road 57 and Crooked Creek Road to Highfield Road. Turn left on Highfield Road and watch for signs. Tracts 15-18, 20-28, & 33-34: Go .9 mile from intersection of State Road 57 and Crooked Creek Road on Crooked Creek Road to Y in road. Veer to right on Engle Road (gravel road) and watch for tract signs. TRACT 29-32, 37 & 38: Go 2.6 miles from intersection of State Road 57 and Crooked Creek Road on State Road 57 to State Road 8 in Concord Kentucky. Turn left on State Road 8, go 2.3 miles to tract #30. 608 Bernard Coughlin Ave. Maysville, KY. Directions: From AA Highway (Hwy. 9) and State Road 68 go north on State Road 68 approximately 3 miles (State Road 68 turns into Bernard Coughlin Ave.
Tract #1: 91 acres with frontage on State Route 57. This tract features 24 acres of white pine trees, 10 acres of tillable land, 9 acres of open land and 48 acres of mixed hardwood trees. This tract offers a wide variety of opportunities including potential building sites plus hunting and recreational benefits. Tract #2: 59 acres with 14 acres of open land balance in mixed hardwood trees. This tract includes a scenic ravine plus large amount of road frontage of State Route 57. Excellent potential building site and hunting/recreational potential. Tracts # 1 and #2 have rural water available. Tract #3: 6 acres with frontage on Crooked Creek Road, of which about half is open land, balance in mixed hardwood trees. Great potential home site. Tract #4: 44 acres with approximately 5 acres of white pine trees balance in mixed hardwood trees with road frontage on two roads. Investigate the potential of this tract. Scenic ravine, prime potential building sites and excellent hunting. Frontage on Crooked Creek and Highfield Road. 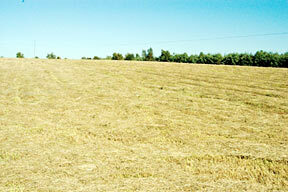 Tract #5: 75 acres with approximately 70 acres of productive tillable farmland. Easy access from Highfield Road. Tract #6: 52 acres featuring 14 acres of white pine, 14 acres of tillable land (hay field), with the balance in mixed hardwood trees. The varied features of this tract create a wide array of opportunity for the buyer. Located on Highfield Road. Tract #7: 163 acres with 41 acres of white pine trees with scenic rolling terrain plus open meadow areas scattered randomly throughout the property. Prime hunting/recreational tract. Privately located at the end of Highfield Road. 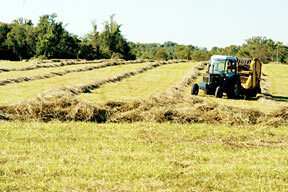 Tract #8: 69 acres mostly mixed hardwood trees plus 6 acres of hay land. Tract #9: 75 acres with approximately 25 acres of white pine trees balance in mixed hardwood trees. Excellent hunting/recreational tract. Tract #10: 17 acres with 15 acres of white pine trees plus small pond. Prime potential building site with easy access from Crooked Creek Road. Enjoy the natural beauty of this tract. Tract #11: 26 acres with approximately 20 acres of white pine trees with road frontage on two roads. Excellent investment property, easily subdivided into smaller tracts. 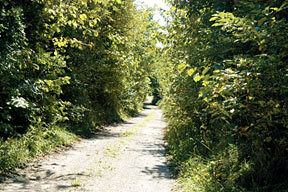 Tract #12: 57 acres featuring 45 acres of mixed hardwood trees and 12 acres of white pine trees. Tract #13: 39 acres with approximately 10 acres of white pine trees, balance in mixed hardwood trees. 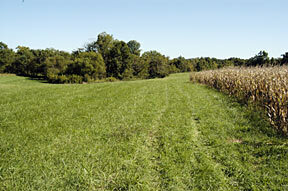 Combine tracts #12 & #13 for 96 acres of prime hunting/recreational property. 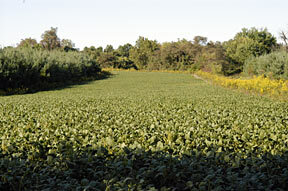 Tract #14: 84 acres with 50 acres tillable productive farmland balance in mixed hardwood trees plus a small pond. 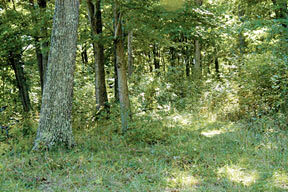 This is a rare opportunity to purchase excellent hunting tract with good income potential. 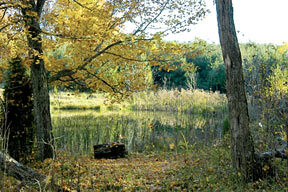 The small pond plus wooded borders around tillable land provide excellent wild life habitat. Tract #15: 431 acres of mixed hardwood trees. Excellent Wildlife Habitat, prime hunting area. Abundant Deer and Turkey population. 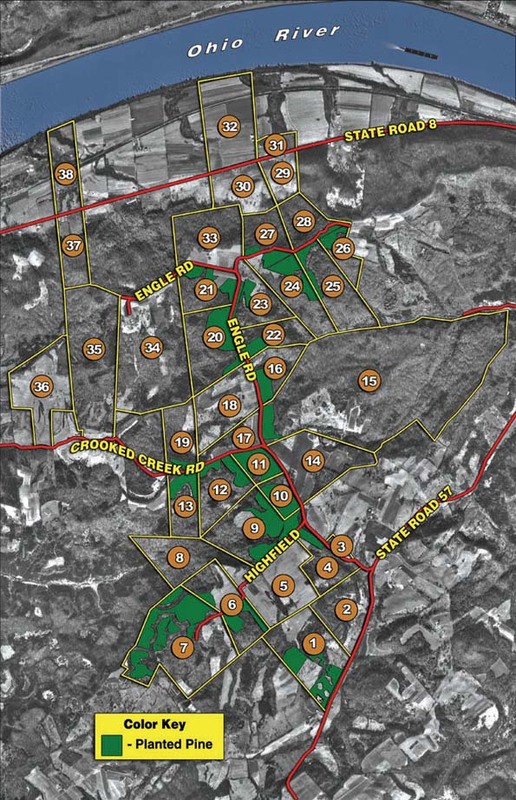 Timber appraisal for Tract 15 (PDF format). 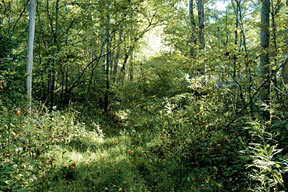 Tract #16: 40 acres featuring 32 acres of mixed hardwood forest and 8 acres of white pine trees. Own your private hunting/recreational land. Tract #17: 26 acres with 50% tillable and 50% mixed hardwood trees. Enjoy the natural beauty of this tract. Long road frontage on two separate roads gives this tract excellent subdivision potential. 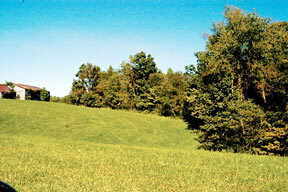 Tract #18: 71 acres featuring a combination of productive tillable land and hardwood woodlands. Small Pond. Perfect tract for a small farm. Tract #19: 43 acres with easy access from Crooked Creek Road. This tract is predominately mixed hardwood trees plus 3 acres of white pine trees. Tract #20: 72 acres with 23 acres of white pine trees and the balance of 49 acres in mixed hardwood stand. Tract #21: 47 acres – This tract features approximately 11 acres of white pine trees, 10 acres of tillable land with balance in mixed hardwood trees. The diversity of this tract offers a wide range of opportunities. Tract #22: 38 acres with 11 acres of white pine trees balance in mixed hardwood trees. Tract #23: 46 acres with 11 acres of white pine trees, 12 acres open and 23 acres of mixed hardwood trees. Excellent hunting and recreational tract. Tract #24: 67 acres with 18 acres of white pine trees balance in mixed hardwood trees. Tract #25: 65 acres featuring 8 acres of white pine trees with balance of acreage in mixed hardwood trees. Tract #26: 25 acres featuring 10 acres of white pine trees with balance of acreage in mixed hardwood trees. 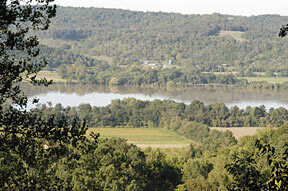 Tract #27: 46 acres of mixed hardwood trees featuring picturesque panoramic views of Ohio River and surrounding area. 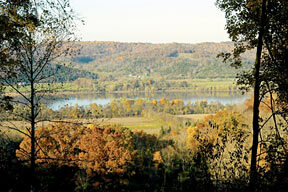 Tract #28: 25 acres of mixed hardwood trees featuring excellent views of the Ohio River. The scenic views from this tract offer opportunity for secluded picturesque panoramic views. Tract #29: 36 acres with remodeled country home located on 36 acres of pastureland. This home features 2 bedrooms, 2 bathrooms (1 bath includes spa tub), dining room, living room, kitchen, utility room, all carpeted except kitchen plus central air and heat. The roof on the room is approximately 4 years old. 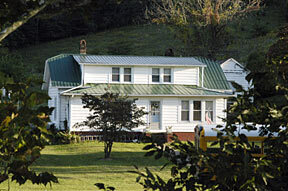 This is a very comfortable cozy home that offers peaceful country living. Tract #30: 43 acres of pasture land plus country home with 4 bedrooms, kitchen, living room and bathroom. This home is heated with a wood stove and water source is from a cistern. Tract #31: 14 acres with several out buildings including 70×150 barn, 28 x77 open front equipment shed plus two other wood frame buildings. 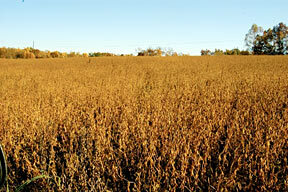 Combine tracts #29 and #31 for 50 acres with potential for small livestock operation. Tract #32: 91 acres of prime productive farm land. This tract includes some of the most productive soils in Lewis County plus features a Railroad and River frontage on the Ohio River. 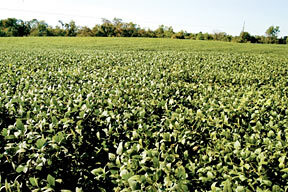 Tract #33: 77 acres with 17 acres of tillable land balance of acreage in mixed hardwood trees. 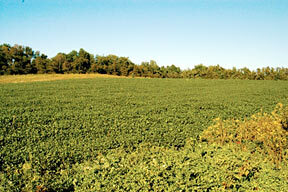 Investigate the recreational and hunting opportunities this tract offers. 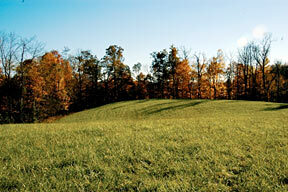 Tract #34: 143 acres featuring approximately 20% of acreage in open spaces with balance in mixed hardwood trees. Tract #35: 163 acres of mixed hardwood trees. Access from two roads along the north and south borders. Tract #36: 81 acres with several small groves of hardwood trees balance of acreage in open land with scattered cedar and hardwood trees. 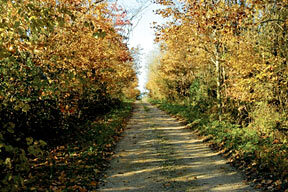 Tract #37: 39 acres featuring 10 acres of open land with balance in mixed hardwood trees. 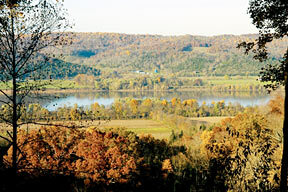 Tract #38: 43 acres featuring frontage on the Ohio River. 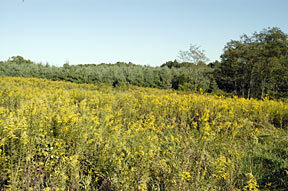 This tract also has a small pond, wooded ravines plus open meadow area. This is truly a unique tract of land. PROCEDURE: Tracts 1-38 will be offered in individual tracts, in any combination of these tracts, and in its entirety. 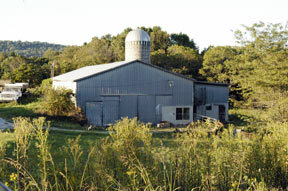 Any qualified registered bidder may bid on tracts, tract combinations, and the total property. DOWN PAYMENT: Successful bidders shall deliver on day of sale to Schrader Real Estate & Auction Co., Inc. 10% of the final contract sales price as an escrow deposit via cash, cashier’s check, or pre-approved personal check. Personal checks should be accompanied by a bank letter stating “___________ is a customer of this bank and we guarantee payment of checks written on account number __________ up to (specify amount) dollars for purchase at the auction being conducted by Schrader/Woltz on May 19, 2005”. YOUR BIDDING IS NOT CONDITIONAL UPON FINANCING, SO BE SURE YOU HAVE ARRANGED FINANCING, IF NEEDED, AND ARE CAPABLE OF PAYING CASH AT CLOSING. If a successful bidder fails to close within the time specified, Seller shall have the right to terminate the Purchase Agreement and retain the down payment as liquidated damages in addition to other legal remedies or at Seller’s option, extend the closing past the designated closing date. However, a charge of 1% of the total contract price will be charged to the Buyer per month until closing. ACCEPTANCE: Seller reserves the right to accept or reject bids..
BUYER’S PREMIUM: A 5% Buyer’s Premium will be added to the final bid price and included in the total purchase contract price. DEED: Seller will provide Special Warranty Deeds conveying the property to successful bidders subject to matters of record, general condition of title, and similar or related matters. As necessary or appropriate, deeds will reserve easements over parcels sold and will impose maintenance obligations on roads. EVIDENCE OF TITLE: The Seller agrees to furnish bidders a preliminary Owner’s title insurance commitment to review prior to Auction. The cost of the insurance, if Purchaser elects to have the title commitment executed, will be the responsibility of the Purchaser. Seller agrees to provide merchantable title to the property subject to matters of record, general conditions of title, and similar or related matters. All tracts sold “AS IS”. REAL ESTATE TAXES: At closing, all real estate taxes shall be prorated. CLOSING: Closing shall take place within 30 days after the auction day, or as soon thereafter as Seller’s applicable closing documents are completed. Announcements on the day of the auction will state the projected closing date for each property. POSSESSION: Possession of the property shall be given at closing. SURVEY: Seller to furnish a new survey for any division of parent tract into smaller tracts. When individual, contiguous tracts are combined, seller to furnish a perimeter survey of those tracts only (they will not be surveyed individually). All tracts sold in their entirety shall be by an existing survey plat of public record. Final sales price shall be adjusted to reflect any difference between advertised and surveyed acres. PROPERTY INSPECTION: Each potential bidder is responsible for conducting at their own risk, their own independent inspections, investigations, inquiries, and due diligence concerning the property. Inspection dates have been scheduled and will be staffed with auction personnel; please feel free to inspect any other time. Also, tracts are marked with surveyor’s corner markers along roadways and there are auction tract signs for your convenience. BROKER PARTICIPATION: Any broker actively licensed in the State of Kentucky who properly registers the successful high bidder will be paid a 2% commission at settlement by the Seller. Registration must be on a Schrader Real Estate & Auction Co., Inc. Buyer Broker Form and contains the name, address, and signature of agent and prospect, as well as broker’s license number and Federal Tax ID number. The form must be received in the offices of Schrader Real Estate & Auction Co., Inc. no later than May 16. AGENCY: Schrader Real Estate & Auction Co., Inc. and Woltz & Associates, Inc. and their representatives are Exclusive Agents of the Seller. DISCLAIMER AND ABSENCE OF WARRANTIES: All information contained in this brochure and all related materials are subject to the Terms and Conditions outlined in the Agreement to Purchase. ANNOUNCEMENTS MADE BY THE AUCTIONEER AT THE AUCTION PODIUM DURING THE TIME OF THE SALE WILL TAKE PRECEDENCE OVER ANY PREVIOUSLY PRINTED MATERIAL OR ANY OTHER ORAL STATEMENTS MADE. The property is being sold on an “AS IS, WHERE IS“ basis, and no warranty or representation, either expressed or implied, concerning the property is made by the Seller or the Auction Company. Each potential bidder is responsible for conducting his or her own independent inspections, investigations, inquiries, and due diligence concerning the property. The information contained in this brochure is subject to verification by all parties relying on it. No liability for its accuracy, errors, or omissions is assumed by the Seller or the Auction Company. All sketches, acreages and dimensions in this brochure and other information provided by the Auction Company are approximate. The Seller and Auction Company reserve the right to preclude any person from bidding if there is any question as to the person’s credentials, financial ability, etc. All decisions of the Auctioneers are final. NEW DATA, CORRECTIONS, AND CHANGES: Please arrive prior to scheduled auction time to inspect any changes, corrections, or additions to the property information. STOCK PHOTOGRAPHY: Some photography in this brochure reflecting wildlife are used for illustrative purposes. OWNER: Mead Realty Group, Inc.